Habitat - Disturbed sites, roadsides, railroads, cultivated areas, thickets. 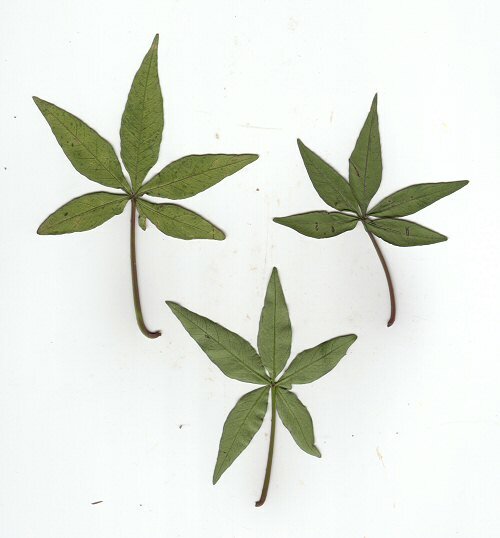 Other information - This attractive yet weedy species is only reported in a small umber of Alabama counties but will certainly become more frequent with time. 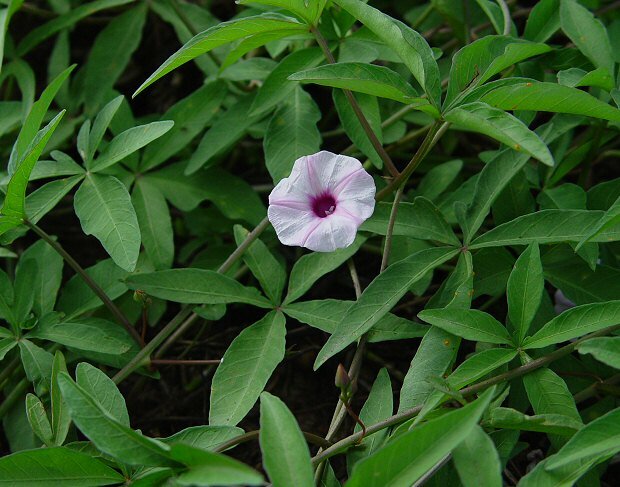 The plant is easy to identify because of its palmate leaves and pink flowers. 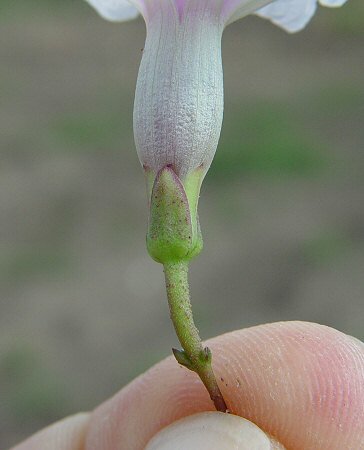 Like the other morning glories, the flowers of the plant wilt when hit by direct, hot sunlight. 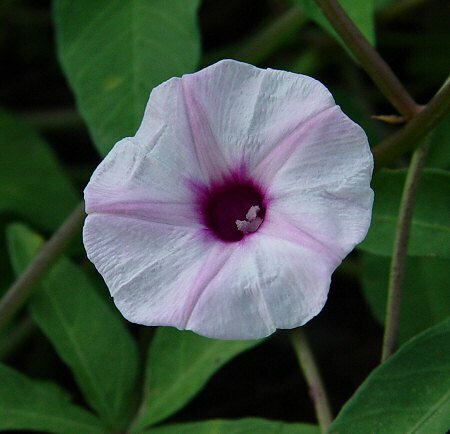 The genus name Ipomoea derives from the Greek "ip(s)" meaning "a worm" and "homo(oio)" meaning "like, resembling" referring to the twining habit of the plants in this genus. 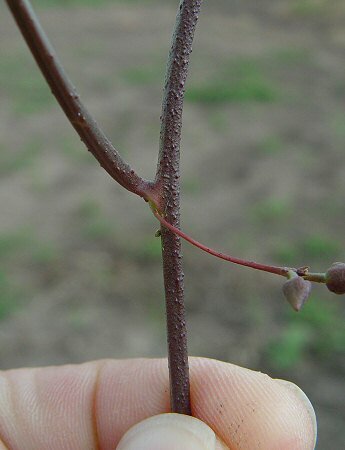 The species epithet wrightii is given in honor of Charles Wright (1811 - 1885). Wright was an American-born naturalist who collected plants in many parts of the world. His collections served as the basis for a number of books. Photographs taken off Hwy 65 near Gould, AR., 9-3-06.